With advancements in veining techniques, demand for countertops with a veining feature is growing. 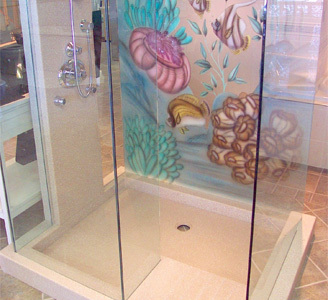 This trend can be seen as many of the leading surfacing companies have recently introduced translucent, veined designs similar to natural onyx. The R.J. Marshall Company continues to offer a full line of high quality Onyx fillers. Onyx Fill products are carefully controlled for consistency and are designed to give optimal performance and beauty. Their managed resin demand contributes to good physical properties and decreased shrinkage and warpage. Off-color contamination is tightly controlled along with color consistency, which allows for predictable results. As in all ATH materials, meeting Class I flame and smoke requirements is an added benefit. Background – Onyx Fill products are color controlled. The translucent nature of Onyx Fill products allows the resin color to show up in your part. Old resins or catalysts can have undesirable effects on the background color. Choose a good quality onyx resin and test it for cured color on a regular basis. To preserve the depth of the onyx system, do not use pigments and other color effects except in veining. Too much pigment and heavy veining will reduce the translucent effect of the onyx. 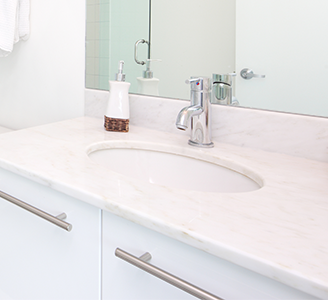 R.J. Marshall also offers WHITE Alumina Trihydrate for Solid Surface manufacturing with Dense Fill.